Milan, the second largest city in Italy after Rome and the capital of Lombardy, is the ‘new’ Italy (as opposed to Rome, the ‘old’ Italy). While it does feature some of the architecture that Italy is famous for, like the Gothic Duomo or the Milan Cathedral, much of Milan was destroyed during World War II, and in its place was built a modern city which now houses the burse, or stock exchange, of Italy. In addition, Milan functions as one of the best cities in Italy for nightlife, shopping, entertainment events, and fashion. While Milan is large and packed enough to keep you busy for days on end, there are plenty of things to do and astounding scenery to see by Milan motorhome rental, RV or campervan hire around Lombardy. Beyond the Castello Sforzesco, the residence of the Sforza-Visconti families who conquered Milan in the 15th century, and Palazzo Clerici which features an awe-inspiring mirror gallery well-adorned by the paintings of Tiepolo, there is Milan’s extravagant haute couture scene. Pay homage to the shiny temples dedicated to Armani, Prada, Versace, D&G and Gucci at the Golden Quadrilateral. Then show off your sparkling finds in the streets of St. Lawrence’s Columns, or in funky bars serving ‘aperitivo’ at the rejuvenated Navigli. 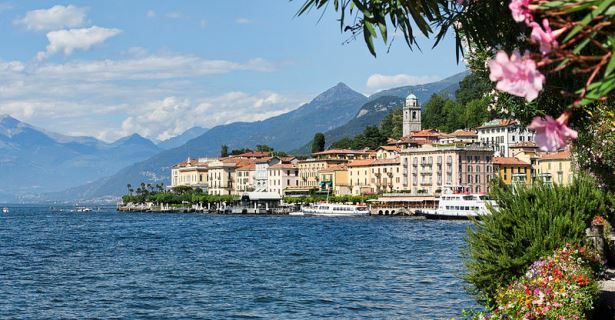 After dealing with the fast-paced life of Milan, take your Milan motorhome rental and head out to Lake Como at the foot of the Alps about 90 minutes north. The lake offers a beautiful backdrop to long walks in the mountains, action-packed sports in and on water, and a leisurely boat ride down the inverted Y-shaped lake. Thirty minutes to the south by campervan hire in Milan is the university city of Pavia with its remains of towers and Romanesque and Medieval architecture. An hour farther southeast is the home of the Stradivarius violins, Cremona, also known for its less popular 13th century bell tower and the world’s largest astronomical clock. Another short trip by motorhome rental in Milan is Brescia, about a 90-minute drive east from Milan. Brescia isn’t often sought out by tourists, but this works to your benefit. The city is filled with remains of the Roman Empire and gorgeous Renaissance squares. Spread in the valley of Central Alps, Val Camonica, are hundreds of thousands of prehistoric petroglyphs that, like the ‘Last Supper’ and the Roman forum of Brescia, have been designated UNESCO World Heritage Sites. From the rock art of Brescia, drive your recreational vehicle or RV rental in Milan down to Mantova to the southeast, or Bergamo to the southwest. This will bring you to Lombardy’s wine route, and get you to the cellar doors that produce rich red and sparkling wines. As a region located in the foothills of the Alps, Lombardy has no shortage of mountains with unimpeded views that doubled as pilgrimage sites for Europeans when travel to Israel in the 15th century proved difficult. Modern travelers aboard Milan motorhome rental or campervan hire will find it easier to explore Sacri Monti, the Sacred Mountains which evoke the Via Dolorosa or the Way of Sorrows. They consist of nine sacred peaks with chapels or kiosks atop containing scenes from the life of Christ, the Virgin Mary, and the Saints.